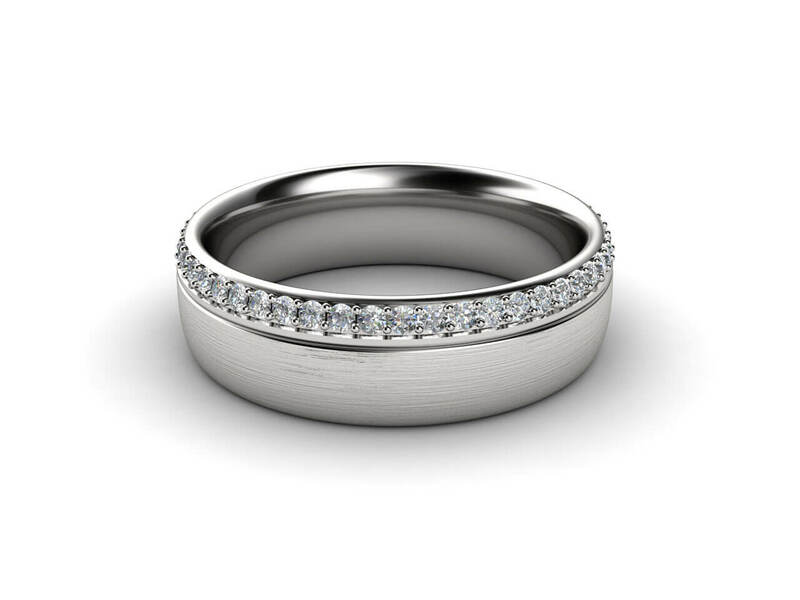 This Multi Diamond Brushed Wedding Band – Yolanda is texturally stunning. 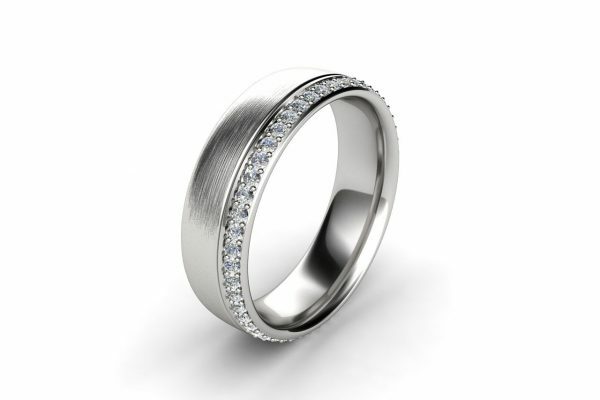 The circle of 50 white diamonds sits upon a wall of brushed white gold. The uniquely Melbourne design is fashionable and timeless meeting both cultural and personal pleasures.